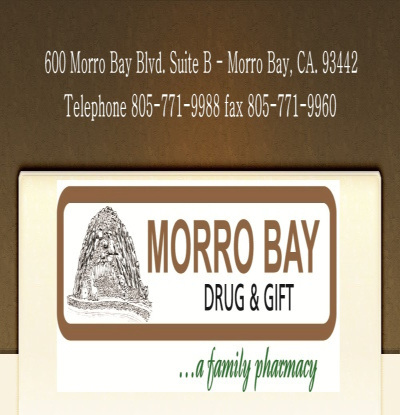 Morro Bay Drug and Gift is an independent pharmacy dedicated to providing the highest quality products and services to a broad range of customers. Their full service pharmacy provides the community with free blood pressure checks, compounding, medication consulting, diabetic nurse on staff, vaccinations & immunization and much more. They also carry a wide variety fantastic gifts. Service is Back in Morro Bay! At Morro Bay Drug and Gift we have the expertise to compound products requiring specialized chemicals and sophisticated equipment not available in most pharmacies. Our compounding pharmacists and technicians have received comprehensive training in compounding techniques, and we maintain an extensive support network that generates a constant exchange of ideas and compounding innovations. The entire staff at Morro Bay Pharmacy is dedicated to providing excellent service to both physicians and patients..
Morro Bay Drug and Gift provides diabetic care from a professional RN. Diabetes can be controlled, managed, and your life can be relatively normal, if you have the proper care. Our Registered Nurse has years of experience in the field and cares about your health. Our certified pharmacist can also administer vaccinations and immunizations. Have you received your flu shot this year? Stop by and we can take care of this for you. We can create a personal immunization file with all previous and current immunization, as well as future recommendations. The Centers for Disease Control is recommending that everyone over the age of 6 months get vaccinated this year. This year's flu vaccine will also protect against the H1N1 virus. Supplies are limited and demand is expected to be high, so please get your flu shot. For More information on Morro Bay Drug click here.